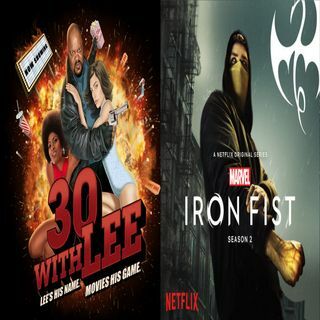 9/28/2018: Lee is back covering the second season of Netflix and Marvel's Iron Fist! After a disappointing first season how does this second season?Is it even worth your time in checking out? Find out on this no holds barred episode! WHEREVER GOOD MUSIC LIKE THIS IS SOLD SUCH AS ITUNES, CDBABY, SPOTIFY, ETC. Anthony Missionary Thomas, Courtney Summers, Michael Wolf, John Davis, Joe Raymond Jr. COVERING THE LATEST IN ENTERTAINMENT AND BEYOND SINCE 2011!! !